Quick Take: Justified, "The Gunfighter"
(S0301) A lot of the time, Raylan Givens goes looking for trouble, but in “The Gunfighter,” Justified’s excellent third season premiere, trouble finds him. Though admittedly, Raylan seems more comfortable in trouble than away from it. When we catch up with him three weeks after the events at Mags Bennett’s house, a bullet to the ribs has slowed him down physically, but he still has the same sharp Givens tongue. This is evident quite early when some relatively cordial back and forth between Raylan and Boyd Crowder about some missing Bennett money at the Marshall office leads to a glass-shattering fist fight between the two. Boyd is quickly hauled off to jail, but through Ava (who is recovering from her own gunshot wound) is able to coordinate with his crew (Devil and Arlo Givens) on the outside. They had been sitting on the Bennett weed supply, but it quickly did what any plant eventually will do. It rotted. Boyd tells Ava to burn it all, but Devil and Arlo don’t think that’s a good idea. Ava asserts herself with a frying pan to Devil’s forehead. It quickly becomes clear that Boyd is playing the long con as he eventually gets transferred to the same prison as Dickie Bennett. My question is this: did Raylan have anything to do with getting Boyd transferred? It seemed pretty convenient otherwise and Raylan and Boyd will never be friends, but they seem to have an understanding. Raylan’s stuck on desk duty until he completely recovers and maybe the time away from the streets has thrown him off his game. 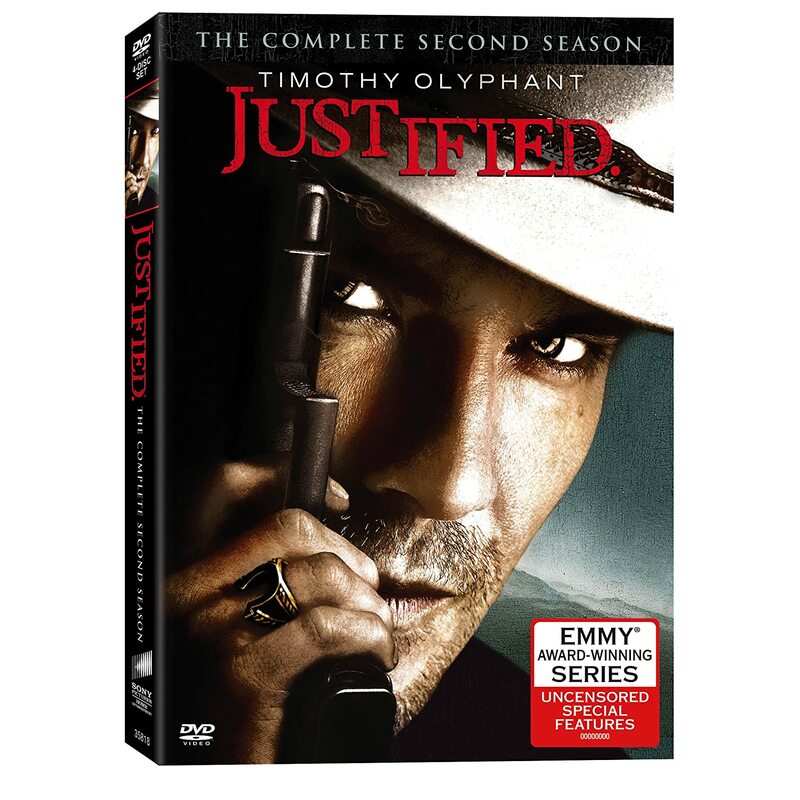 When Tim asks him to help investigate two murders committed by a national fugitive (hence the marshal service’s involvement) who used to work for Wynn Duffy, Raylan reluctantly agrees, but doesn’t look seriously enough at the case file. Duffy doesn’t lead to much help, but Raylan knows enough to go to Duffy’s boss, Emmitt, for some real answers. In the lobby, he runs into a man with a really lame fedora or porkpie or whatever hat and they throw a few smartass comments back and forth. The hatted man knows Raylan, but Raylan doesn’t know the hatted man, who turns out to be his national fugitive. But the man who manipulated Nix and manipulated Emmitt and will soon likely start manipulating Wynn is a Detroit gangster by the name of Quarles. Played by Neal McDonough (last seen on FX as what should have been the Big Bad of that second season Terriers that never happened), Quarles is impressed by the (literal) beauty of the Kentucky blue grass but also clearly has a plan for making something special out of it. But he’s ruthless, too, killing Emmit and his mostly innocent secretary Yvette. It’s hard to say what Quarles has in mind for this small neck of the woods, but it will likely involve a spring-loaded derringer from his sleeve. He’s no Mags Bennett, who will go down as one of the greatest television villains of all time, but he’s intriguing. “The Gunfighter” is pulling a lot of threads a lot of different ways and it’s easy to be concerned that after such a focused, brilliant second season, Justified might be stretching itself too thin (with still new characters played by the likes of Carla Gugino and Mykelti Williamson still to be introduced). Graham Yost and company deserve patience, though, and who knows, maybe the larger canvas will lead to even grander results. Great to have you back in the saddle, Mike ! Yeah, I was really impressed with Harrington's range here, and he dropped his voice in such a way (+ accent of course) that he sounds like a very different character. It's too bad that he can't stick around to be a Big Bad this season. He's still around on Dexter, by the way (I'm sticking it out...).